In today’s world, the customer experience extends beyond the walls of a brick and mortar store. Customers engage with your brand through content that’s spread across multiple channels and accessed by multiple devices. And with so many possible touch points, it’s becoming increasingly important for brands to ensure consistency throughout–especially for their millennial audience. A survey by SLD, a customer experience software and services provider, revealed that 44% of millennials surveyed expect their experience to be consistent across all devices. In addition, 60% said that they expect the same experience across all customer touch points–from phone service to in-store and digital interactions. So how do you create that consistent customer experience? Through omni-channel marketing. Omni-channel marketing is a holistic, strategic marketing approach that aims to provide a seamless user experience across all channels and devices. Every brand has a story to tell. A message that tells their audiences who they are, what they stand for and how they can be of service in a time of need. And an important part of successfully conveying that message is through creating a positive, consistent customer experience with your brand. How can you build a relationship with a customer if your message is inconsistent? How can you build that trust? In addition, providing a consistent customer experience contributes to building brand recognition and awareness among your target audience. Remember, your marketing efforts aim to build and nurture your customer relationships. At TopRank Marketing, we often talk about the importance of an integrated content marketing strategy. One that uses multiple tactics–across multiple mediums–to be the best answer, when and where people are searching for information. The key to all this? A focus on the customer and their journey–which is a natural connection to omni-channel marketing. Content plays a major role in the customer experience. It’s product descriptions. It’s blog posts. It’s advertisements. It’s emails. It’s social media status updates. It’s a promotional sign hanging in a store’s window. Use omni-channel marketing as another layer to bolster your content marketing strategy–and really your overall marketing strategy. Use consistent imagery. Humans are very visual beings. We process so much with our eyes. Using consistent imagery contributes to that brand recognition and awareness brands so desperately want. Establish a consistent voice. This is your brand voice and it should be recognizable to your customers. Are you serious? More light-hearted? Silly? Educational? Personalize. Remember that each channel likely has a distinct audience. Strike a balance between your brand standards and optimizing your message for each medium. Put yourself in customers’ shoes. Take the time to regularly review the experience that your customers go through to research, buy and connect with your products and brand. When it comes to your digital interactions, use your analytical tools to identify barriers. Where are people dropping off the site? Which forms convert the best? Where is the most site traffic coming from? Which mediums get the most engagement? Now that you have this information, how can you improve the experience? Is it through new content or better calls-to-action? 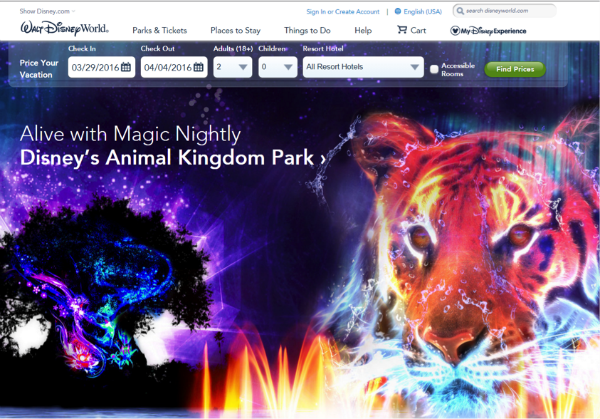 Disney is an omni-channel rock star. From booking your trip on their mobile responsive website to securing fast passes through the My Disney Experience app to accessing your on-property hotel room with a Magic Band, the magic of Disney is consistent throughout. 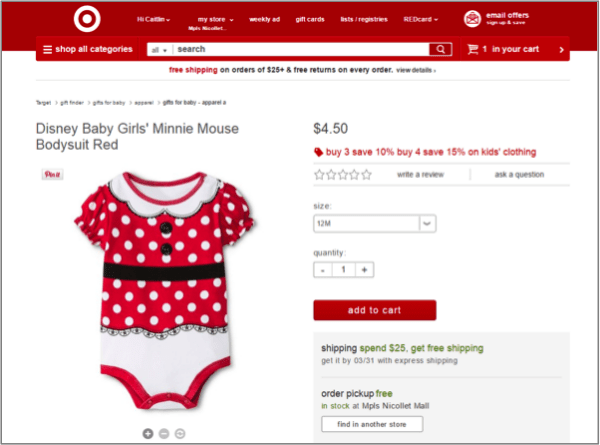 Another omni-channel heavy weight is one of my most beloved brands: Target. 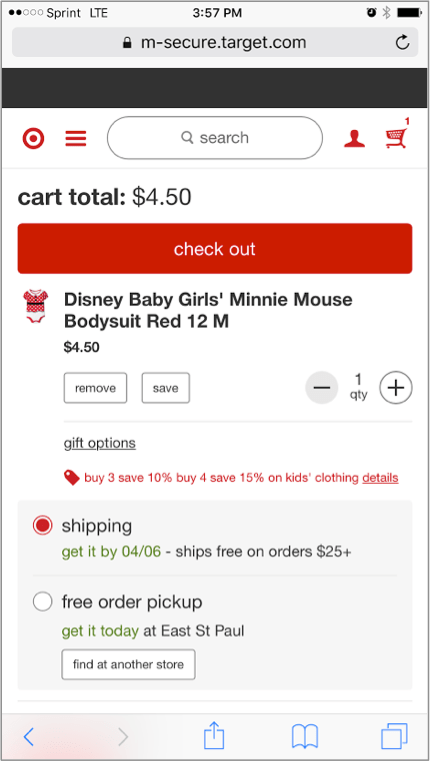 Whether you’re shopping from your PC, your mobile device or in-store, each medium works together to create a seamless, efficient shopping experience (even if you fall down the perusing rabbit hole). Your digital shopping cart can be saved and accessed from either a PC or mobile device, or you can opt to pick items up at your closest store. Coca-Cola is one of the world’s most recognizable brands. It’s sold in hundreds of countries and it’s branded itself as a deliciously refreshing beverage that delivers happiness in a bottle. 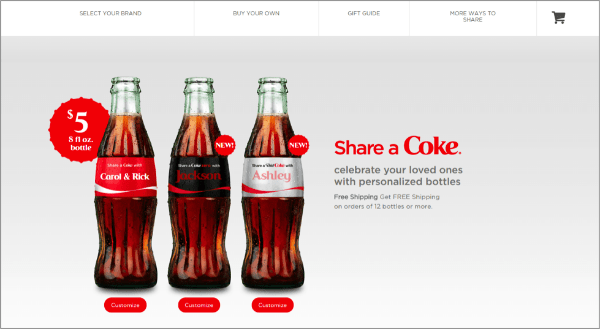 From allowing soda lovers to share the love by personalizing a bottle for a special someone to their rewards program to utilizing traditional media to remind customers just how tasty their drink is, their brand is all about customer experience. What are some of your best practices for ensuring a seamless customer experience? Share with us in the comments section below. 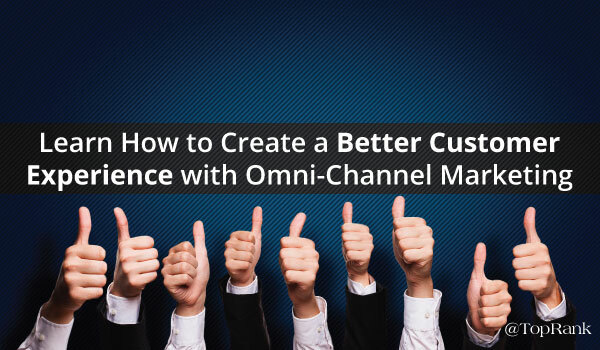 The post Learn How to Create a Better Customer Experience with Omni-Channel Marketing appeared first on Online Marketing Blog – TopRank®. With traditional marketing tactics becoming less effective as the Internet breeds more self-guided buyers, content marketing has risen up to provide marketers with another way to engage with their target audience. Rather than pushing out a one-size-fits-all message, content marketing allows you to give your audience tailored, relevant and meaningful information. It helps you build a trusting relationship with your audience–often times before they even become a customer. But just because you do content marketing, doesn’t mean you’re doing it effectively. According to the Content Marketing Institute and MarketingProfs annual research report, 55% of marketers said they didn’t know what content marketing success or effectiveness looked like. This is where a content marketing strategy can help you define a path to successful content creation. But what is a content marketing strategy? A content marketing strategy provides you with answers to the why, who and how a content marketing program can achieve your business objectives. It’s your infrastructure. Your game plan. Your roadmap. It’s how you plan to help your customers solve their pain points through content marketing. For example, your content marketing strategy will likely include some very important details about your customers, what you hope to accomplish with content marketing and how you plan on getting there. A successful content marketing strategy will be thoroughly integrated with your other digital marketing initiatives to create a cohesive experience for your customers across platforms. 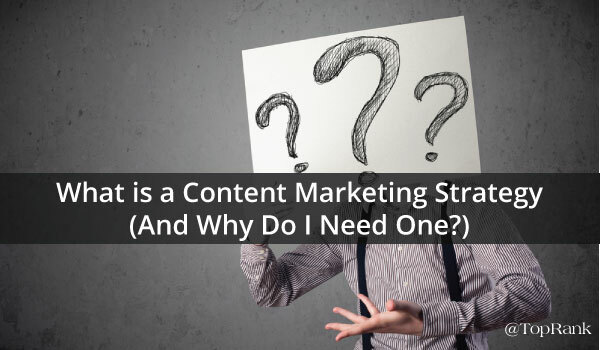 Why Do I Need a Content Marketing Strategy? Without a content marketing strategy, you’re throwing content into the world and hoping it sticks somewhere. With a strategy in place, you’re able to plan, produce, promote and measure the effectiveness of your content, and use that information to propel your efforts forward. In order for you to measure the effectiveness of your program, your content marketing strategy needs to be documented. In the same annual report mentioned above, marketers with a documented content marketing strategy said they got better results from the content marketing tactics, social platforms and paid methods of content distribution that they used. The idea behind creating and implementing a content marketing strategy–and really any business strategy–is to achieve specific goals and objectives. Some of the most common goals include increasing website traffic, growing social audiences, and increasing contact form submissions or newsletter signups. We suggest making these goals smart goals–something that can be tracked and measured. For example, rather than your goal being to increase website traffic, your smart goal could be increasing organic website traffic by 15% year-over-year. This is where you need to get into the minds of your target audience. Understanding their motivations, their pain points and what they’re searching for will be key to building out your strategy. Keyword research and your own site’s analytics are good places to start. In addition, your sales teams can provide you with incredible customer insights. As mentioned above, your content marketing strategy should help you tell your brand’s story. What message do you want to communicate to your audience? What sets you apart from your competition? Today’s customer journey involves multiple touch points on multiple channels (social media, search, digital ads, news posts, customer review sites, etc.). Define which channels you’ll use and how you’ll use them to reach your audience, and what your specific objectives for each channel are. From blogs and infographics to podcasts and videos, outline which content types and tactics you plan to use. To do this, consider what types will be most effective with your audience and how they will work together to reach your objectives. Again, leverage your sales teams. Their insights can help you choose your content and map it to specific stages (attract, engage or convert) in the buying cycle. Content marketing is all about providing the best answer to your audience, when and where they are searching for them. Use your customer insight and their pain points to guide some of your content topics. In addition, check out the current content landscape by performing some of your own searches for your top keywords and studying the top SERPs that are returned. What do those pages offer the user? What opportunities do you see for your own content? Your plan should include details on how you plan to measure the effectiveness of your content and the channels you use to promote it. This will allow you to know if you’re hitting your stated objectives so you can tweak your strategy moving forward. What steps do you take to better understand your audience and inform your content marketing strategy? Tell us in the comments section below. The post What is a Content Marketing Strategy (And Why Do I Need One?) appeared first on Online Marketing Blog – TopRank®. When you lose a potential customer to a competitor it can leave you reeling with questions and wondering what they did to set themselves apart and how they did it. Companies that work hard to be the best answer wherever their customers are looking and build trust and credibility early in the sales cycle are typically those that win new business when it comes time for customers to make a decision. One way that brands can begin building trust and credibility early on with prospects is to incorporate influencers into content meant to represent different stages of the buying cycle. In fact, recent research has found that 51% of marketers believe that incorporating influencers into their marketing helps them get better customers. Before we jump into how to incorporate influencers into different types of content, it’s important to take a step back and recognize that the term “influencer” does not just apply to popular brandividuals that many companies are all chasing after to add to their marketing campaigns. True, there are many powerful brandividuals that can help advance your brand message but you also need to consider incorporating niche industry experts, experts from reputable brands, your own customers and even employees into these content campaigns. Let’s dig in and discuss how to incorporate influencers to attract, engage and convert more B2B customers as well as a few ways to get started. When potential customers are not aware of your brand, incorporating influencers into early stage content meant to attract can be an incredibly effective way to stand out in a sea of content. The correlation that prospects make between you and the influencers that you include in your content provide instant credibility and begins building necessary trust to move prospects to the next stage. What type of influencers add value at the attract stage? Once a prospect reaches the engage stage of their buying journey, they are aware of your brand and frequently consume content that you create. They may not be ready to purchase, but they consider you to be a reputable source for information and may often share your content within their organization and with their social networks. When a prospect is at this stage in their journey, contributions from influencers on specific topics that provide a lot of value is the best way to incorporate influencers. What type of influencers add value at the engage stage? This is the final stage in the customer journey leading up to purchase. At this point, your prospect may be weighing their options between you and your competitors. An endorsement from an influencer at this stage can be incredibly impactful in determining whether you or another brand wins the business. An example of the influencer content used in this stage often comes in the form of endorsements in working with your company, or testaments of the quality of your products or services. What type of influencers add value at the convert stage? If it is the first time you’re working with one of these influencers and have just begun building the relationship, keep your asks simple and straightforward. Once you’re able to show influencers value from their initial collaboration, they’ll be more likely to work with you on more complex projects in the future. As we discussed above, there are different types of influencers that you can work with to meet specific objectives. Depending on the stage of your content asset and overall goals for the program, you’ll want to include a good mix of influencer types that will best help you provide value to your prospects. While it may be tempting to provide influencers with a laundry list of specifications for their contribution, you’ll be more successful if you allow influencers to add their own personal flavor to the content. Why? One of the reasons that influencer marketing can be so effective is that if done well, your influencers will be motivated to share the content with their community. They have worked hard to build their own followers that are used to receiving information in a particular way that they know and trust. One of the biggest mistakes that we see many companies new to influencer making is failing to create a frictionless way for influencers to share their contribution. Let’s face it, putting together an influencer content marketing campaign can be a lot of work. It’d be a shame to go to all of that work only to have it not meet campaign goals because you missed an essential step. Take the time to create social messages for each individual influencer and provide them with additional creative assets that feature their contribution so that they are proud to promote their involvement. Each company will need to determine the exact mix of influencer types that will be the most impactful at the different purchasing stages. There is no one-size fits all solution for incorporating influencer marketing but there is a vast amount of opportunity that is being left on the table because many brands aren’t sure where to start. To help you get the most out of your B2B influencer marketing program, we’ve created the helpful guide below to help you get started. 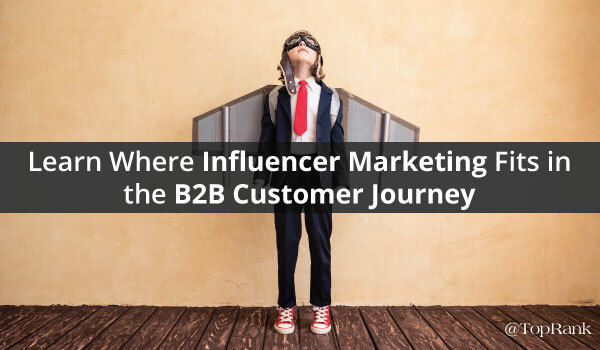 The post Learn Where Influencer Marketing Fits in the B2B Customer Journey appeared first on Online Marketing Blog – TopRank®. What were your top digital marketing news stories for the week? I’ll be back next week with more top marketing news (and possibly even a fun teaser video!). Keep an eye on the TopRank Marketing blog for helpful marketing information or follow us on Twitter @toprank. Have something to share? Tweet it to me @Tiffani_Allen! The post Online Marketing News: Content Cocktails, Old School Email and 3D Printing in Space appeared first on Online Marketing Blog – TopRank®. Thanks to the rise of the Internet, today’s consumers are much more self-directed in their buying journey. With so much information at their fingertips, they’re taking the research reigns and using the information they discover to make their purchasing decisions. In fact, research shows that B2B buyers conduct an average of 12 searches before ever going to a brand’s site. Of course, this means that traditional advertising and marketing techniques are becoming less effective, and many marketers are looking for another way to successfully reach their audiences. And that way is through content marketing. 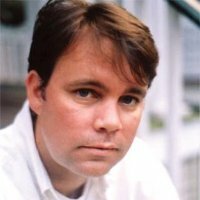 Content marketing is a strategic marketing technique that aligns business and consumer information needs with relevant content. Content can act as a means to attract, engage and convert a specific targeted audience. From blogging and social media to white papers and eBooks, marketers use a variety of content marketing tactics to consistently inform and persuade their customers–without trying to sell them something outright. Content marketing can be used by small organizations and large companies. With so many different tactics, businesses of all sizes can tailor a mix that works for their product, their audience and the resources they have available. Content marketing is about nurturing the relationship with your audience, and arming them with the information that they need and seek. The content you create becomes a part of their self-guided buying journey. If you succeed, you can capture their business and loyalty. At TopRank Marketing, we believe the key to content marketing is creating high-quality content that allows you to be the best answer for your audience, whenever and wherever they’re searching for information. And this can be done through an integrated approach that uses a mix of tactics to achieve your content marketing objectives. For example, creating high-quality blog content is an excellent way to provide resources for your audience and make them more intelligent. But just publishing the post on your website won’t get you the ROI you’re looking for. That content can featured in a monthly newsletter, promoted on social media pages, or perhaps be repurposed into an infographic to be more visual and encourage more social shares. As mentioned above, content marketing is not just one single tactic, but rather a mix of tactics that work together. Below are some examples. Infographics provide a tool to educate and inform your primary target audience through rich visualization and storytelling. This infographic from Health & Style is a great example of content marketing because it represents a combination of blogging, content repurposing and social media tactics. The infographic was created by turning a lengthy blog post into something eye-catching and easily shareable. 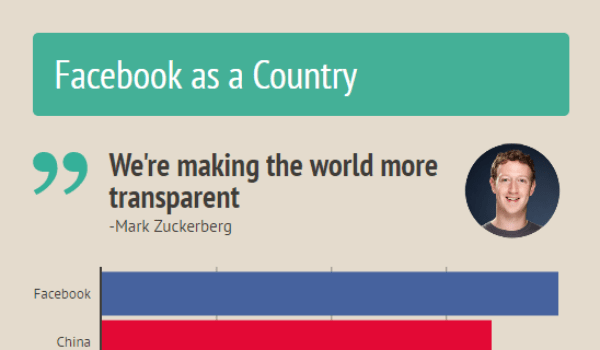 To date it’s received more than 26,000 social shares. Content curation is a unique content marketing tactic because it doesn’t involve creating original content, but rather a finding and compiling some of the best posts on a particular topic and then sharing it with your audience. BuzzFeed is arguably one of the best content curation machines out there. Using public photos and videos, trending news events or popular pop culture topics, BuzzFeed is consistently delivering clickable and shareable curated posts. 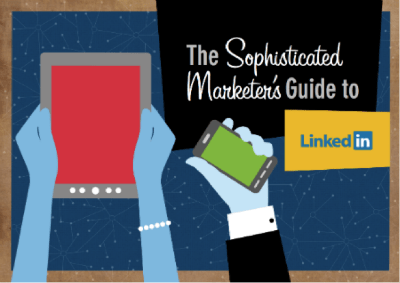 A great example of using influencer content as a content marketing tactic is The Sophisticated Marketer’s Guide to LinkedIn eBook. Influencers were included in the creation of the guide and it was promoted and repurposed through multiple channels. With both influencers and content communicating the value, LinkedIn was able to gain visibility of as a marketing solution, which resulted in major ROI for the program and millions in new revenue. If you’re new to content marketing, here are a couple posts to get you started. Content Marketing–Tactics and Best Practices: This blog post includes links to articles on 30 different content marketing tactics, each of which includes pros, cons, examples, best practices and additional resources. 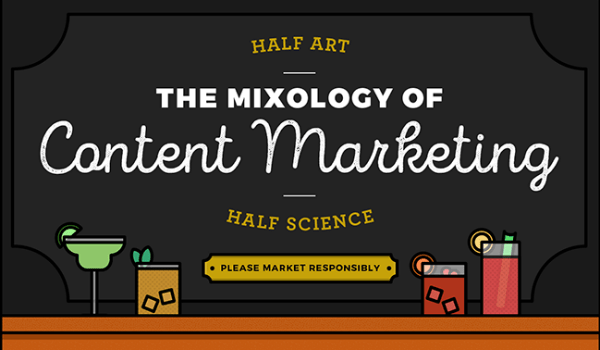 Are you an experienced content marketer looking for new inspiration? Then check out the following articles. Are you a small business looking for some how-to help? Hopefully, these posts can help you out. Are you a company that is considering an addition or expansion of your content marketing efforts? We have some resources for you, too! What other questions do you have about content marketing? Ask them in the comments section below. The post What is Content Marketing? Definition, Examples & Resources for Learning More appeared first on Online Marketing Blog – TopRank®. 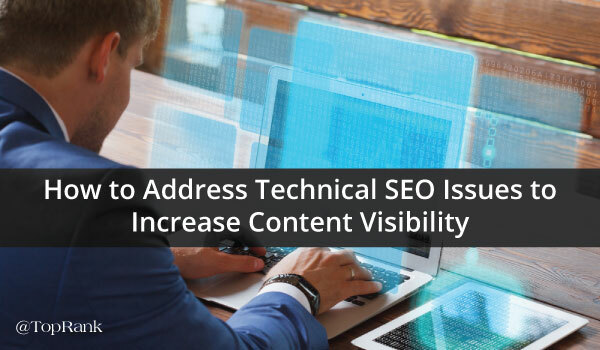 The post How to Address Technical SEO Issues to Increase Content Visibility appeared first on Online Marketing Blog – TopRank®. 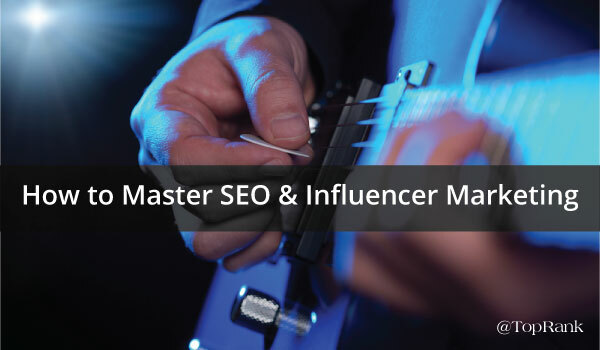 The post Embody the Form: How to Master SEO & Influencer Marketing appeared first on Online Marketing Blog – TopRank®. We all have bad habits. Whether it’s biting our nails, constantly driving like we’re on a racetrack or something you’d rather not admit to, we’ve all got them. Some are easy to break while others quickly find their way back into our lives. The same can be said for social media marketing habits. 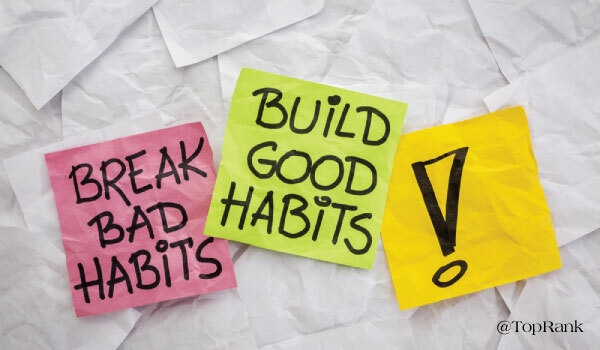 Once you get in a routine, it can be hard to break habits that are helping, but may possibly be hurting your brand. Within social media marketing there is a lot of opportunity for brands to create great experiences for their communities, create brand affinity and influence purchasing decisions. A recent study found that 84% of CEOs and VPs say that they use social media to make purchasing decisions. If you want to be one of those companies that has a positive impact on your community and generates tremendous value for your brand, make sure you’re not following ANY of these 7 weird social media marketing habits. When you sit down and look at the mountain of tasks in front of you each day it can be tempting to try and automate as many of your social media marketing tasks as possible. While many social media tools can be a marketer’s best friend, it’s best to use them in moderation. Depending on the tools that you use to publish on social media platforms, you’ll find that there are often issues with the ways that images or messages post on different platforms. That means you’re not creating the best possible user experience for your followers. Plus, taking a short amount of time to customize your message depending on where you’re publishing can vastly improve the user experience. The concept of newsjacking is not new to marketing. When done appropriate, it can be an incredibly effective means of extending your reach to an already engaged audience. So, instead of having to create demand and seek out an audience, you have a group of people already discussing the topic at a large scale. However, we’ve all seen what happens when companies try and jump on the wrong bandwagon. This happens most on Twitter that is constantly trending a series of hashtags about a variety of topics. Before trying to incorporate one of these trending items into your brand social media messaging, make sure that you have done the research to understand the source and meaning behind the topic. The negative impact that many brands have experienced by not doing their homework has been significant, and easily avoidable. This is another habit that is often the result of little time and attention paid to social media communities. There is simply no replacement for true human interaction on social media platforms. Your followers have the potential to be potential clients, current clients, influencers of decision makers, other savvy and credible professionals and yes, trolls. If someone takes the time to follow and engage with your brand on social media then it is your responsibility to respond accordingly. Of course not every comment or share requires a response, but if you’re checking in on the heartbeat of your community frequently, then responding to those messages that do stand out can become a much more manageable task. What do you think the purpose of social media is for brands? Is it solely to provide updates about everything happening at your company? Or, is it to help your followers solve their problems, open the door to conversations and provide helpful resources to begin building credibility? I hope that the answer is obvious. If a brand is using social media platforms as a means to only push out content about the happenings at their company, they’re doing it wrong. Social media presents a unique and more personal opportunity to interact with your followers. Utilize this opportunity to the fullest by uncovering what your followers care about and providing them with insight on those items, and asking them enticing questions to gain their opinions as well. Sure, social media marketing would be easier if you could publish the same content on each platform and have it resonate with the audience on that platform. Unfortunately, we don’t have control over why and how people use each platform. The type of message that resonates with your Facebook audience will likely not have the same impact with your Instagram followers. Take some time to analyze your audience for each platform (built-in social analytics make this very possible) and see what you can uncover about them. Then, create a plan for each individual platform that still maintains a similar message, but presented in a way that the audience for that platform will respond well to. Everyone is busy and are often viewing content on social networks on the go. Additionally, the amount of content that brands are producing has become so overwhelming that it often numbs users. In order to stand out in a sea of content, it’s essential that you add visuals to your social media content. A great mix of visual campaigns as well as great visuals to accompany links to content can be the difference between a user scrolling past your content entirely, and clicking to engage further. Each social media platform has their own specifications for social images shared in-stream, so make sure that you are optimizing these visuals for a better user experience. Let’s face it, the increase in competition for consumer attention, and changes in algorithms on social networks has made social advertising an important part of a social media strategy. If you think that you can still organically reach 100% of your audience on social networks then you likely haven’t been looking at the data. We are still fortunately in a situation where a little ad spend can still get you pretty good exposure. So don’t go dumping all of your marketing budget into social advertising, but do reserve a portion to boost posts that are important and ads that can have a big impact. Tools like Adsvise provide easy to understand specifications for different ad types (and in-stream visuals) for most social media platforms. Let’s Face it, Today’s Customers Are SAVVY! Shortcuts and weird habits that you used to be able to get away with have all gone down the drain as users have become more sophisticated and savvy in how they use social networks. There still exists a lot of opportunity to interact, you just have to be more sophisticated in how you approach social media marketing for business. Which of these weird habits have you been guilty of committing? Looking for EVEN more social media marketing advice? Take a look at our top social media posts for 2015! The post 7 Weird Social Media Marketing Habits All Marketers Need to Break NOW appeared first on Online Marketing Blog – TopRank®. Thanks for reading and have a great weekend! I’ll be back next week with more online marketing news. Have something to share? Tweet me at @Tiffani_Allen or send it to @toprank using the hashtag #trnews! The post Online Marketing News: Jaw-Dropping Stats, Instagram’s New Algorithm and Google Boosts Mobile appeared first on Online Marketing Blog – TopRank®. How many times have you made a purchase either online or in a store and found that you either received recommendations or coupons after your purchase that seemed to be exactly what you were looking for? 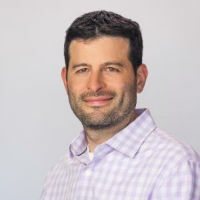 That experience is one example of how companies are using big data to create a better experience and more effectively target buyers based on previous behaviors. The sheer amount of trackable activity that exists today has begun to make data collection and analysis a much more manageable task, and the impact is in the numbers. Research has found that for a Fortune 1000 company, increasing data accessibility by just 10% has the potential to result in more than $65 million dollars in additional revenue. 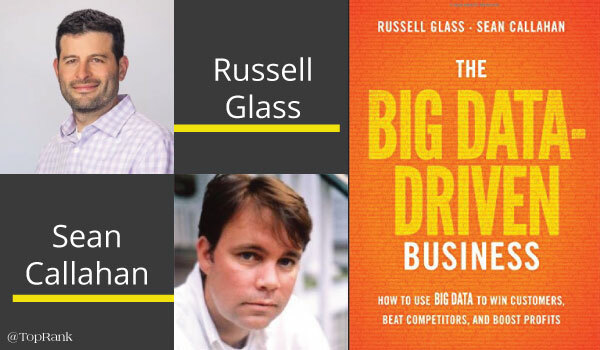 To help companies understand how to use data more effectively, Russell Glass, Head of Marketing Products for LinkedIn and Sean Callahan, Senior Manager Content Marketing for LinkedIn Marketing Solutions (client) collaborated to write a book titled The Big Data-Driven Business. This book focuses on ways that brands can utilize big data to win more customers, outshine the competition and increase company profits. As marketers, our ability to collect, synthesize and make decisions based on data is a necessity to compete in today’s marketplace. To make that transition easier, I’ve included some of the biggest data related marketing lessons I drew from this book as well as an interview with authors Russell and Sean on the opportunities with big data. Customer relationships used to involve enthusiastic handshakes, and wining and dining prospects to make a sale. Today’s self-directed buyers often make it through a vast majority of the sales process before even speaking with a company representative. Therein lies the challenge and opportunity for marketers to use data informed marketing to be the best answer for customers, wherever they are searching. Customers are now armed with a great deal of information that helps them decide which company or product is the best fit for their needs. By analyzing how prospects interact with emails, move through the company website and interact on social channels are all signals of what they’re searching for. You can hire the most talented marketing team in the world, but if you have a crap product, your chances of developing a strong customer base goes out the window. Think of some of the products you use most as a consumer. Those could include things like Spotify streaming radio, Amazon or Netflix. One thing each of these companies have in common is that they “listen” to what it is that you like, and adjust recommendations accordingly. Digital marketers can take a similar approach by finding opportunities to interact with customers and prospects to learn what their priorities are, what they care about and what their biggest problems are that your solution can solve. Sometimes the lines can seem fuzzy in terms of how exactly marketers can use the data collected about their customers and prospects. While certain information can help you better target customers, you have to avoid creating a sense that you are being intrusive or manipulative for the end user. It is the responsibility of brands to use the information gathered to improved customer experience while still respecting their privacy and security. Ensure that you’re fully aware of all the regulations that exist around privacy and understand how this may impact how you use data collected about your customers. Why should marketers be looking through a lens of big data to influence their marketing strategy? Customers and prospects are online, and the buyer’s journey has moved online in so many ways. Forrester Research estimated that as much of 90 percent of the buyer’s journey has taken place before a prospect reaches out to a salesperson. These prospects are researching online, consulting their peers on social media, reading reviews, and (we hope) visiting our websites. Marketing, via the data that these prospects create when they surf the Web, has tremendous insight into who these prospects are and how they’re behaving. This data gives the marketing department the best picture of who their customers should be and what they want. This is the path to becoming what all businesses should strive to be: data-driven and customer focused. What is the low hanging fruit of data collection that most marketers aren’t taking advantage of? I would say there are two critical areas of low hanging fruit. One is the internal customer data that marketers have spread throughout the company in various departments: sales, accounts receivable, customer service. This internal data, when consolidated and analyzed properly, can reveal to marketers what characteristics their best customers share. Using this data, marketers should be able to create a picture of what kinds of prospects they should be going after and build an account-based marketing approach to going after prospects who match the characteristics of their best customers. The second area of low-hanging fruit for marketers is website visitors and email/blog subscribers. By analyzing these prospects, who have raised their hand to show their interest in your company, marketers should be able to use data to target very effective and efficient messages to prospects who are already poised to move through the funnel. In your experience, how has your journey using data informed marketing helped you in your current role at LinkedIn? The biggest way data has helped is better understanding what our members are doing on our site and especially within our feed. Knowing what members are doing and the kinds of information they are consuming enables my team to build products that are going to deliver the best results for customers who are trying to reach those members at the right time with the right message. So it becomes a win-win: members get more valuable and relevant content, and marketers get better results for their dollars spent. Now that three martini lunches are a thing of the past, how can marketers use big data to take the same hands-on approach with customers that are self directed on their journey? In the book, Russ and I write about what the three-martini lunch was really about. Salespeople took out their prospects to entertain them, to give them information about the industry as a whole, and ultimately to begin talking about selling them specific products and services. Now that the three-martini lunch is largely a thing of the past (even though martinis themselves have made a comeback), the relationship-building is now taking place online via content marketing and lead nurturing. Marketers use their content to entertain their prospects, to talk about industry trends and make their companies thought leaders, and finally talking specifically about products and services. It says in the book that, “Speed delivers customer satisfaction and customer satisfaction delivers more searches.” How can companies use big data to create a better, speedier experience for customers? When Google was analyzing data on how visitors used their search engine, they found that speed was essential to retaining the interest of these visitors. They discovered that even a few tenths of a seconds difference in delivering search results caused users to abandon their searches at a higher rate – which meant that fewer paid search advertisements were served. So Google focused on delivering their search results fast, because that’s what customers wanted. And it’s why there are 10 search results delivered on page 1, rather than, say, 20. I think the lesson of Google’s experience with the speed of search results isn’t about speed in and of itself; it’s about using data to give customers what they want and delivering an excellent customer experience. It’s all about becoming a data-driven, customer-focused business. In your experience, why is it so important for marketers to embrace marketing technology? It goes back to the buyer’s journey. So much of the buyer’s journey takes place online, and you need technology as night-vision goggles to have insight into how your customers and prospects are behaving online. With this insight (driven by data, which is in turn discovered by technology), you can understand your customer better and be a better marketer. Are You Making Data Informed Marketing Decisions? The need for data informed marketing decisions to become “the best answer” for your customers will become increasingly more important over the next few years. Get a leg up on your competition by committing to incorporating more data-driven insights about your customers into your digital marketing strategy. The post Book Review & Interview: 3 Marketing Lessons From The Big Data-Driven Business appeared first on Online Marketing Blog – TopRank®.